This is a guaranteed way to make yourself some friends. This orange buttercream frosting is creamy and delicious, with the perfect hint of orange to wow your tastebuds! Jonas' friend Leila spent some time with us over spring break and they made this frosting recipe to take cupcakes to Ellensburg Vegetarian Society's monthly potluck. We added a little bit of orange extract into the cupcakes to complete the chocolate orange experience and judging by everyone's reactions they were a complete success. Combine earth balance, orange extract, and vanilla. Add powdered sugar slowly, up to 1/4 cup at a time. **I purchased the orange extract at Super 1 but check out the link above to the brand on amazon because it was so amazing that I really felt like it took the flavor of the frosting to a whole new level compared to the other ones I've used in the past. 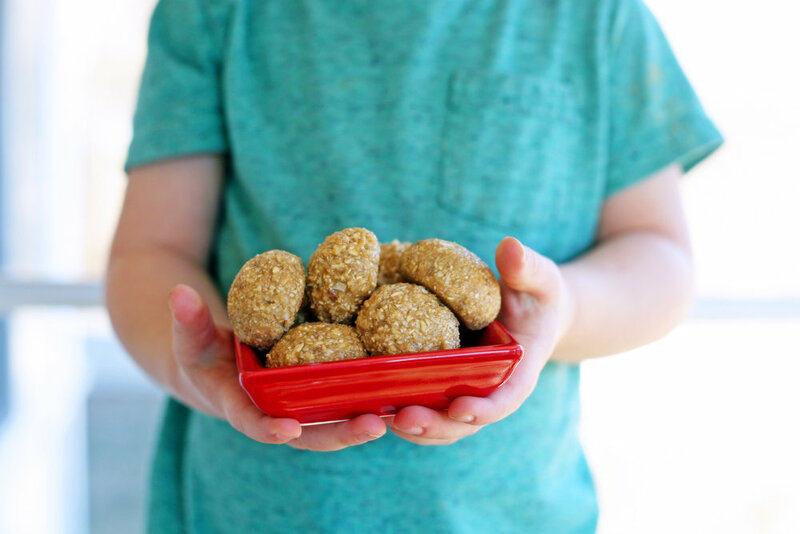 There are a lot of different ways to make hummus, but this is by far our favorite! 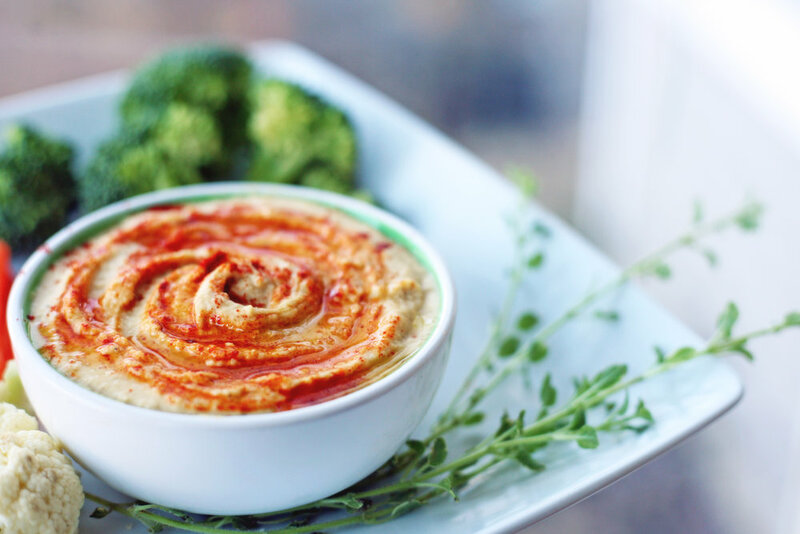 Creamy and dreamy; excellent for dipping vegetables, pita, chips, crackers, or using as a protein spread inside a wrap or burrito. You can also take a tip from Jonas and eat it with your fingers! Combine all ingredients in a food processor or blender. Jonas used our Vitamix. Blend for a few minutes, until smooth and consistent in texture. Jonas being very patient even though all he wanted to do was eat it! Let us know in the comments if you got a copy of this recipe at the E3 Spring Fair! 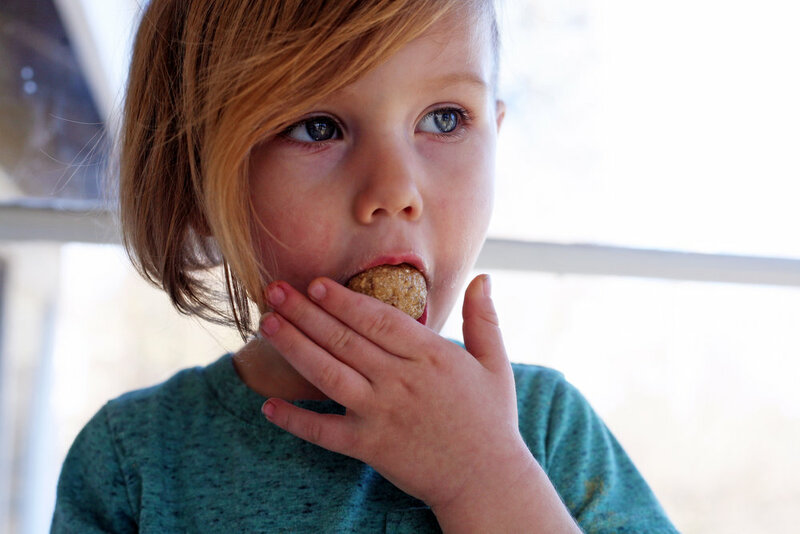 I first started making oat milk when Jonas was 10 months old and I was looking for ways to incorporate more iron into his diet. We have been working hard to cut down the waste we create in our home and this oat milk recipe has been a simple and inexpensive staple on our journey. You can use an unsweetened version in sauces, modify this version to be chocolate by adding cocoa powder, or use it in any way that you would use store bought milk! Jonas demonstrating that sensory play is a side benefit to making oat milk! 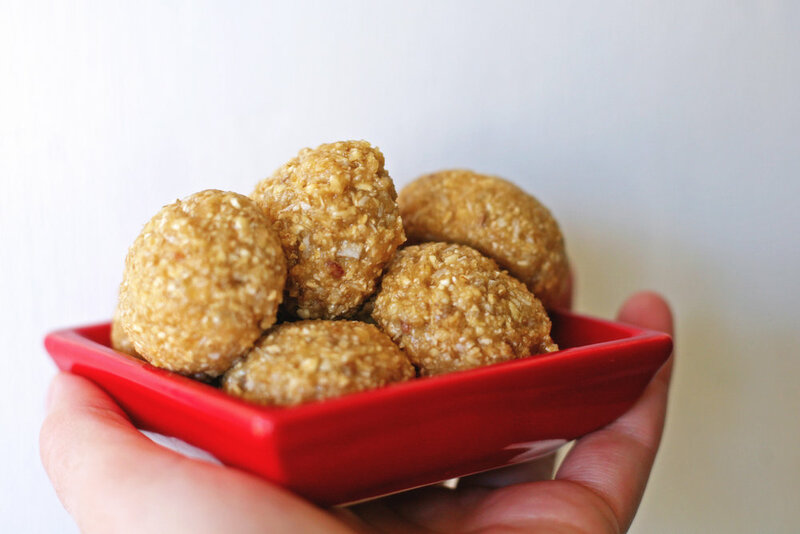 We make this recipe using either rolled oats or steel cut oats. Please note that steel cut oats contain more iron and might be a better option if nutrition is your goal! Blend oats and water until smooth. If you have a high powered blender and like thick milk you're done! Otherwise, strain through cheesecloth before adding sweetener for a thinner milk. Jonas loves this oat milk! Simply whip 3 ingredients together and you're done! Refrigerate your coconut milk for at least 6 hours. Make sure the coconut milk is full fat (not light) and be careful to use only the cream and not the water. Some people claim using a chilled bowl helps, but we use a room temperature bowl and it works fine. You can use any sweetener in the place of maple syrup. This is the perfect topping for your favorite dessert! Combine ingredients into a bowl and mix until desired texture is achieved. Preheat oven to 350 degrees. Mix your dry ingredients together, then add the wet ingredients and mix until smooth. This recipe will make 72 mini cupcakes which bake for approximately 7 minutes, or you can make two 9” rounds which bake for 30 minutes. Jonas made personal cakes for all the birthday kids at his party, and cupcakes for the guests! Dip 6 slices of bread, soaking thoroughly and pan fry on medium heat until golden brown. Enjoy with toppings of your choice! Jonas topped his french toast with bananas, chopped walnuts, and maple syrup. Chia seeds are a superfood! 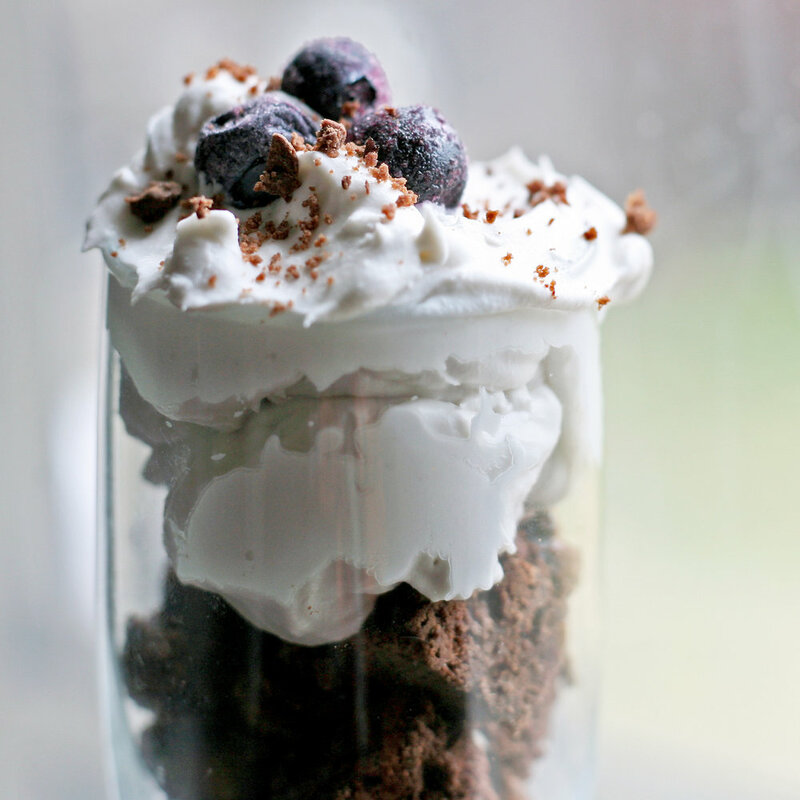 This pudding is so healthy you can eat it for breakfast! Blend until smooth and refrigerate over night (or at least 4 hours). 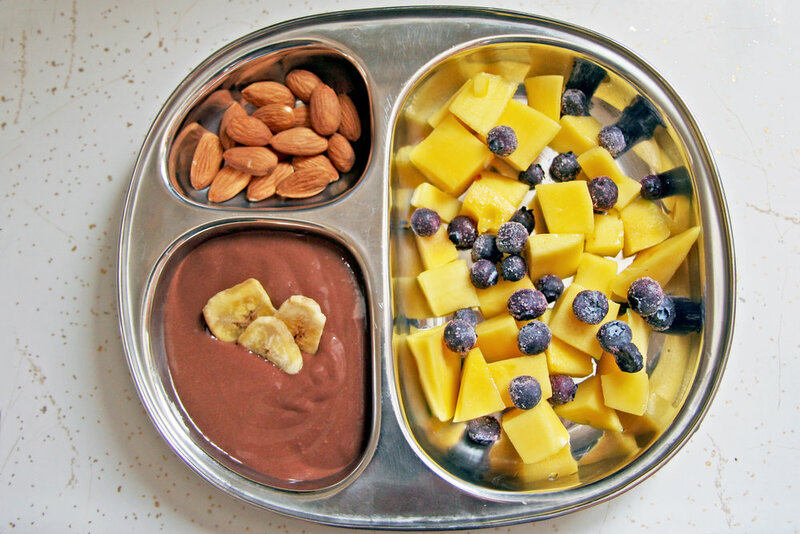 Pudding breakfast for Jonas, complete with fresh mango, frozen blueberries, almonds, and banana chips. Blend until smooth and use like cow cheese traditionally would be on nachos or macaroni noodles, in quesadillas, broccoli soup, or as a dip for veggies or soft pretzels. Roll into thin sheets and cut into desired noodle shapes. Boil in salted water, cooking to desired tenderness.